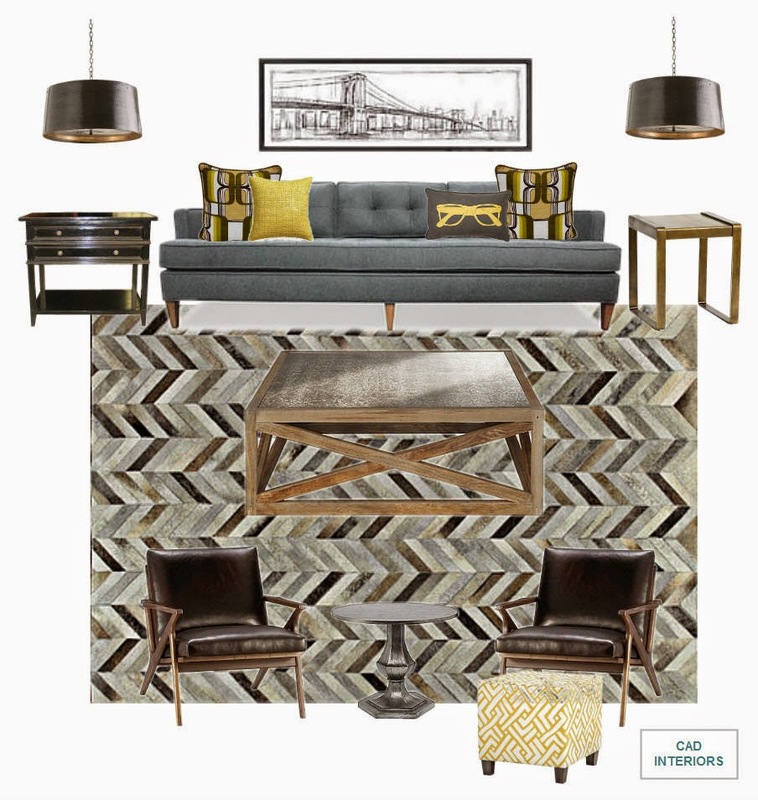 Since I have been working on more feminine spaces lately, I thought I'd deviate for a bit to share a recent "Mad Men" inspired room design that the man in the house can claim his own. This room is definitely more masculine than my recent nursery and bedroom e-designs. The general masculine feel of the room is softened by adding mixed metallic finishes, and incorporating citrine textiles and accessories. These touches bring the "personality" to the room since they add color, texture, pattern, depth, and dimension. Need help designing a space in your own home? Contact me for a complimentary design consultation. I would love to partner with you to create a space that fits your lifestyle, budget, and personality!